Deal Of The Week – Android 4.2 Media Box "Cube"
Only 10 days left to get this deal of the week! Do you want to have the opportunity to relax on your sofa and interact with the wonderful world of Android? Well, the “Cube” Android 4.2 Media Box from Chinavasion is definitely a very popular Android smart TV box to run Android on your living room TV! With a 1.5GHz Dual Core CPU, 1080p Video Playback, HDMI Connection and 4GB Memory, the “Cube” will let your living room filled with Android magic power. And with 33% off the original wholesale price, this is the perfect time for you to hit “Add to Cart” now. 1.5GHz Dual Core CPU – Equipped with a 1.5GHz Dual Core CPU, the “Cube” can multitask at a great speed! It can easily handle any apps, music, videos, and pictures without any issues. 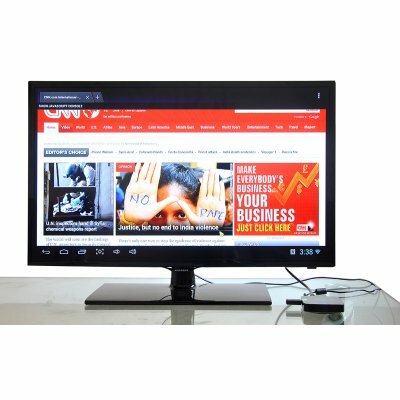 1080p Video Playback – Coming with 1080p Video Playback, you can feel free to watch Youtube videos, movies, browse the internet, share photos with friends, chat on skype and generally do everything you can do on your phone but now on your HD TV’s large screen! 4GB Memory – 4GB of internal memory will let you save all your content on the box itself. And just hook up your external hard drive to one of the two USB ports or insert a Micro SD card if you need more space. Check out the Android 4.2 Media Box “Cube” right now!